, the original Celtic Earls of Angus – the ancient name of the locality. Here however it is the only charge, to reference the meaning of the name Angus as ‘unique’. The rest of the field is blue to recollect the colours of the Forfarshire Cricket Club. its arms in cloth form, has sometimes been described as the Angus county flag. 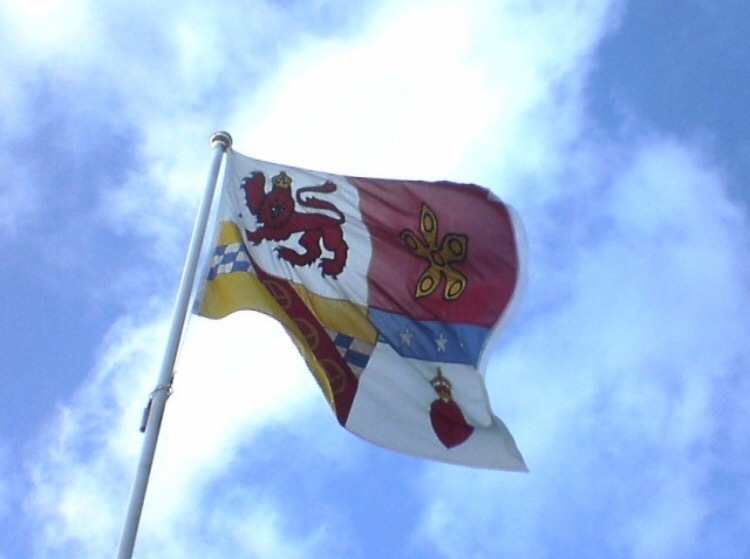 This of course, is inaccurate, as the council’s arms, whether on metal, stone, paper or cloth belong to and represent solely the council itself, not the wider county in general. There is presently, no county flag of Angus/Forfarshire. This entry was posted in Angus/Forfarshire. Bookmark the permalink.